“Remember to take the time to stop and smell the roses”. Oftentimes the stress and busy schedule of life and being a parent runs me down. The past month has been a particularly challenging time with lots of ups and downs. There have been many changes both good and bad, and a fair amount of travel. Last Tuesday I returned from a four-day extremely intense trip to New York City and nearly collapsed when I got home. My head felt like it was going to burst and my body felt terrible. I was overtired, overstimulated and over stressed. All of these things made me feel like hell and even my husband realized that I was wound up way too tight just like a rubber band that eventually would have to snap. During times like this, I realize that I really have to listen to my body more. It tells me in those simple way that I am on the borderline. Tension headaches arrive, my stomach aches and the telltale sign of too much stress arrives: My back and neck fall apart. I have found that when I get overly stressed out, I am powerless and nothing seems to bring me back down. Something has to eventually give. I can only go on being so high-strung for a few days until I break. Thankfully this time, I averted disaster by realizing it was time to make a change and find some balance in my life. I cut back on seeing yes to everything, organized my ‘to do’ list and gave myself permission to relax a bit and lighten up. Once I made that choice, I was instantly relieved. It felt like a huge brick had been lifted off my slouching shoulders and I could actually think more clearly and breathe. I also decided to seek solace in the one place that always grounds me and brings me calm: The outdoors. The Minnehaha Creek is only a few blocks away from my house and is always peaceful and serene. I have always loved being outside. As a child growing up in Minnesota, land of over 10,000 lakes, the outdoors is a spectacularly beautiful place. I embrace each and every season with excitement and joy, and marvel at the pure, real beauty of Mother Nature. Fall happens to be one of my most favorite times of the year. The gorgeous fall colors light up the sky in their beautiful tapestry of colors – pumpkin orange, scarlet red, yellow gold and tawny brown – fill my soul with strength and gratitude. The sky is always a majestic royal blue and the light of the sun, warm and brilliant. The gentle fresh breeze of the air in the morning and night fill my lungs with rejuvenation and tranquility. 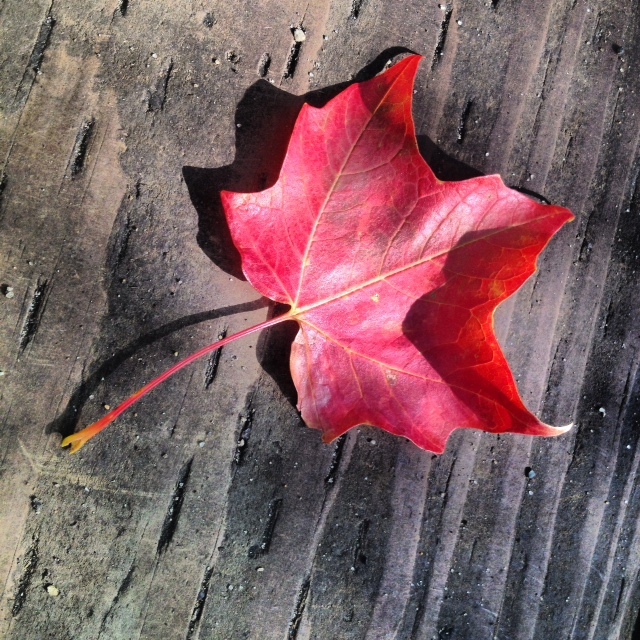 I adore fall and try to spend as much time as possible enjoying its beauty. 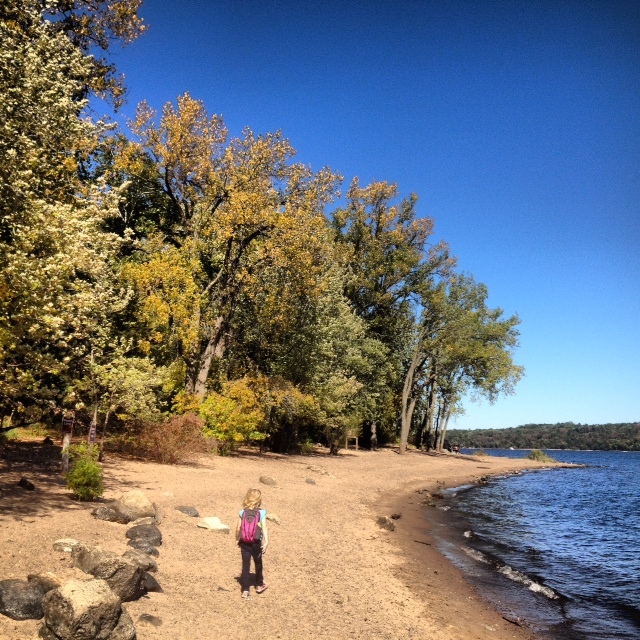 On Sunday, we decided to take a family hike along the lovely St. Croix River at Afton State Park. 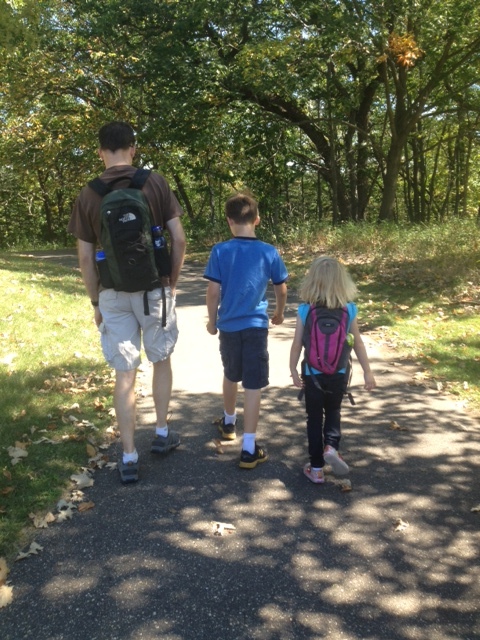 It was a spectacular day and I knew that getting outside and spending the day with the ones I love would rejuvenate me. And it did. I took this picture of my daughter Sophia as she was delighting in the beauty of our world. By the end of the day, I noticed my back and neck felt less tense and I was breathing easier. I felt so much more alive and happy. Once again, the beauty and solitude of nature was the perfect cure to get my life back in balance and for that I’m grateful. 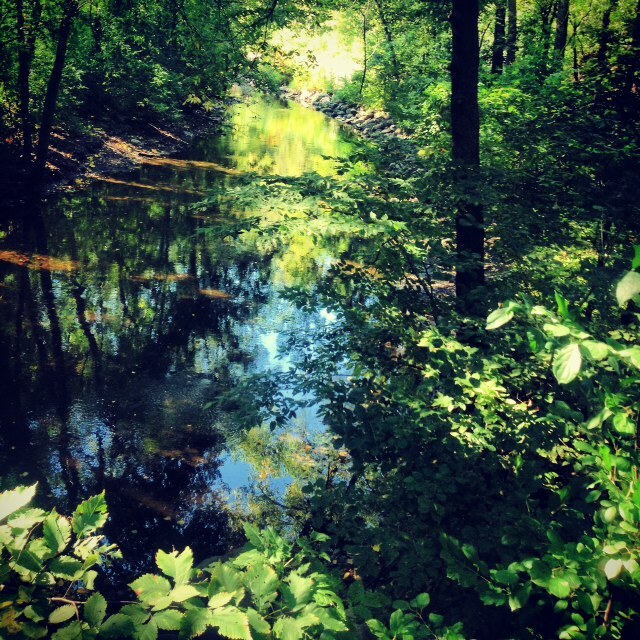 Spending time amidst nature is truly a rejuvenating experience for the soul and the mind…All the photographs are nice and the Minnehaha Creek shot is spectacular…The composition is so nice…. Yes you are right…I am always at my best when I am amidst nature!!! This entry was posted on September 30, 2013 by thirdeyemom in BODY, MIND & SOUL, FAMILY LIFE, Healthy Living, Inspiration, LIFESTYLE, RANDOM THOUGHTS, Work/Life Balance and tagged afton state park, Family, Hiking, inspiration, Minnesota, nature, outdoors, thirdeyemom.